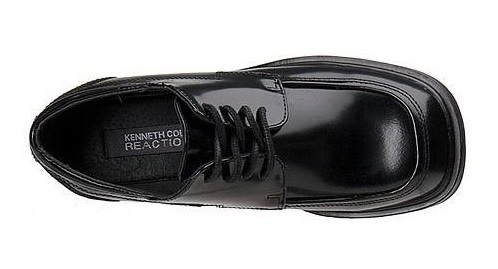 With the risk of sounding like a salesman, I am crazy about Kenneth Coleshoes. They have some of the sleekest and trendiest shoes in existence, all generally great quality and will last if worn in moderation. Since the fall season is upon us, I wanted to share with you four pairs of shoes which will make you look and feel great. All of the shoes mentioned here are available in sizes 6-13 which should satisfy most of our readers. We all know that our feet come in different sizes regardless of our height. I personally wear a size 10 which is rather large for my own height. Remember that people pay attention to your shoes. Great shoes give off the impression that you have disposable income. Awoman once told me she pays attention to a man’s shoes and socks because since they wear out quickly, a man who spends on shoes cares about his appearance and has bread in the bank. Not that we want women to choose you because of your career or bank account, but let’s face it, there’s nothing wrong with looking and feeling like a million bucks, especially if you don’t have a million dollars to spend! Every man should own several pairs of black and brown shoes. These are classic fall colors (since we're in the season), but what is more important is that they will go with just about every outfit you have. From three-piece suits to button up shirts with jeans they will work. The shoes covered here will be browns and blacks, but we humbly suggest checking out grays and whites. More variety means more outfit combinations and looks. For example, some of the shoes featured here do in fact come in white. Michael Jackson once said he wore white socks so concert goers would pay attention to his feet. They say it is not appropriate to wear white after Labor Day, but variety is always good and since it is rare that people wear white footwear apart from sneakers, you will surprise onlookers with your palette and taste. These are in the $150 range and can be found in department stores like Macy’s, JC Penny and of course, Kenneth Cole outlets. I picked up a brand new pair of these off of eBay for $75. They are a mahogany brown, have a tough shiny exterior, point inward in a concave shape but are slightly round at the toe. The perceived length helps them to be quite noticeable when wearing trousers or suit paints. They look grand when matched with dark colors or grays. To accent their über-expensive look, I purchased some argyle socks from Express. On a roll, I went back on eBay and picked up this Kenneth Cole Unlisted brand watch with a brown band and gold rimmed faceplate. The overall look elicited questions from anyone who took notice. What’s great about these purchases is that combined they were about $100. You can’t go wrong with that. I picked up these little ditties on impulse from eBay using Buy It Now. I purchased them in brown, but they also come in black. 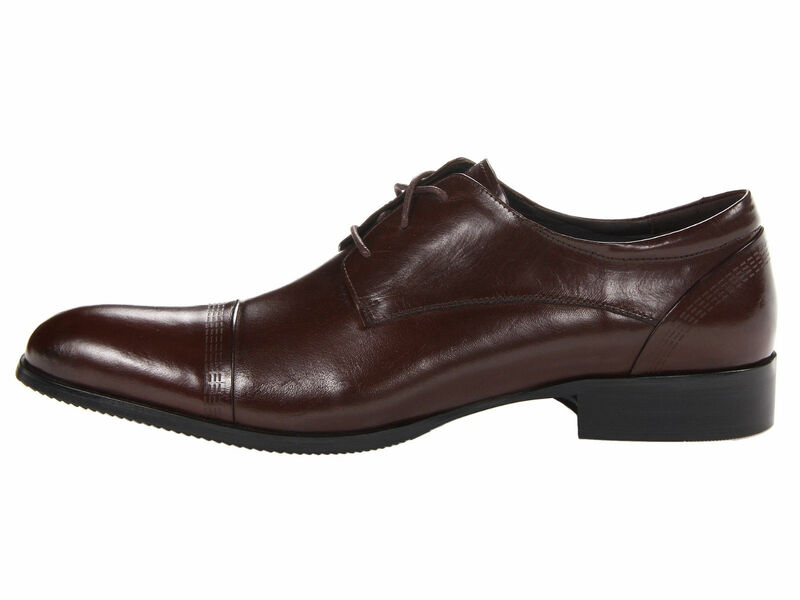 These shoes are a light brown, have slight frills on the side and are pointy at the toe. They shoe mouth and laces are slightly raised at the ankle in comparison to most shoes. A great look can be acquired by covering the shoe mouth with the bottom of your slacks. The highlight here is the pointy toe. Its matte finish gives a suede impression and looks best if paired with a dress casual look. I often wear these with khaki colored or dark blue pants and a light colored or plaid shirt. Combined with the Kenneth Cole Unlisted watch mentioned above, you’ll have a killer outfit on your hands. Because they are very pointy at the toe, I wouldn’t suggest wearing this with a suit unless you’re going for the no tie Miami Vice look. I picked up another pair of Express argyle socks to wear exclusively with these shoes. These socks had more browns than the pair mentioned above. Not Kenneth Cole, but they look great nonetheless. They were on sale for $49.99 at the Steve Madden Store. These shoes feature a one inch heel and have an alligator matte like appearance. They have a concave shape which gives a pointy impression, but the square top evens things out which tone it down quite a bit. They are not made from tough leather, so they crease relatively quickly. The soles are not the most comfortable and you can feel the ground as you walk. That said, they look great and work well with suits and casual outfits. Jeans need not apply here. A pair of thick black dress socks will put you in business with these shoes. 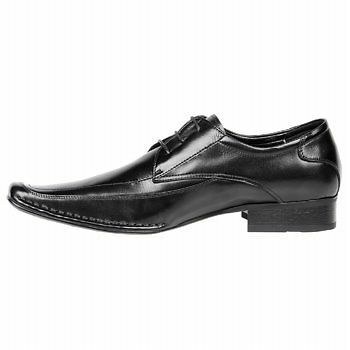 I purchased a Kenneth Cole 9183 model black mesh watch for $55 off of Amazon to pair up with these shoes. The combination gets compliments and questions from strangers regularly. I suggest popping in an insole for added comfort. Find your size and cut off about a ½ inch so they fit well on the inside. These are literally my favorite shoes because they make any casual outfit look amazing. A slick black patent leather lace up with a square vamp, toe and tongue, along with an eyelet that rises up ever so slightly, these shoes will bring the best out of anything you wear that is casual or dress. Put on a blazer with jeans, a suit or a button down shirt with designer jeans and you’ll be in business. 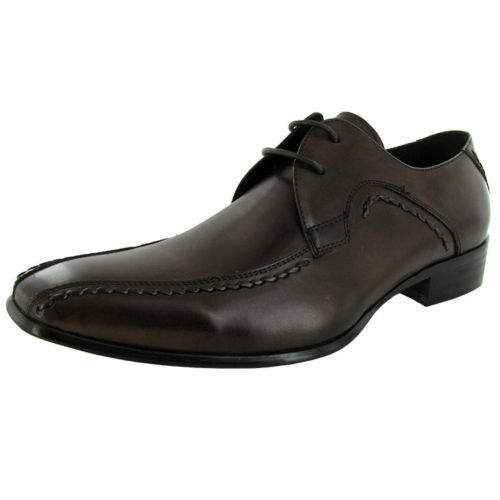 The shoes also come in brown and white, but the luster of the shoes makes black the best choice. T-Flexes are tough and built to last. There are two models, one with blue insoles and one with black. Be sure to pick up the latter. While typically a bit more expensive clocking in at about $90, they can last for up to year with everyday use or much longer if worn sparingly. If you match them up a nice black leather jacket, be ready for a barrage of compliments as you’ll look trendier than most. The toughness of the leather makes them very hard to crease which allows them to look new for a very long time. The topline stretches well which makes putting them on an easy task. Scuffs can be taken off easily with a wet paper towel. With all of this information and dashing looks, it’s not hard to understand why the T-Flex is a top seller. All of the items mentioned in this article are medium priced and of high quality. Enough so that you will get tons of mileage out of each pair be it via wearing them or the notice you will receive while having them on. While the focus was on Kenneth Cole wear, similar styles can be found in any department store, manufacturer outlet, or by typing in “men’s shoes” on eBay or Amazon and filtering your searches accordingly. Be sure to do your due diligence when looking for the perfect shoe for you. Visit stores and know your exact size. While sizes are pretty much universal, smaller manufacturers, particularly foreign ones may require a size up or down. Always check measurements. As we said in the beginning, your fall blacks and browns are staples in a man’s shoe diet. Don’t be afraid to step outside of the box and purchase other colors. You will definitely stand out from the crowd and show the world that you possess serious sock and shoe game.